Back in February LG announced its newest flagship, the G8 ThinQ. Now, the smartphone is finally available in Canada. 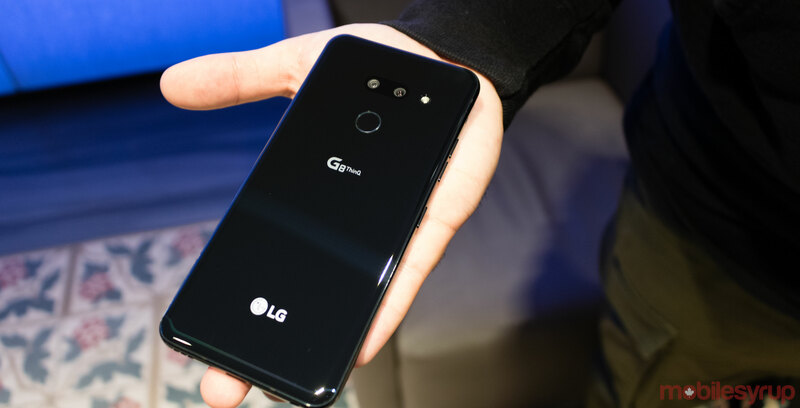 The LG G8 ThinQ is available at Bell, Eastlink, Fido, Freedom Mobile, Rogers, SaskTel, Virgin Mobile and Vidéotron. Best Buy, Tbooth Wireless, The Source, WOW!, Wireless Wave and Xplore Mobile are also selling the G8 ThinQ. We’re still waiting for pricing information from the other carriers and will update this story when it becomes available. If you purchase the G8 ThinQ between April 12th and May 31st, you’ll get a $200 pre-paid gift card that’s redeemable at this link. LG is also offering a two-year warranty on the device that the company is calling its ‘LG Second Year Promise.’ Those who register their device can file, track and receive a replacement easier, says the company. The LG G8 ThinQ features a 6.1-inch display with a 3,120 x 1,440-pixel resolution. It sports 6GB of RAM, 128GB of storage and a time of flight sensor that uses ‘Hand ID,’ a new way to unlock your handset with the veins in your hand.